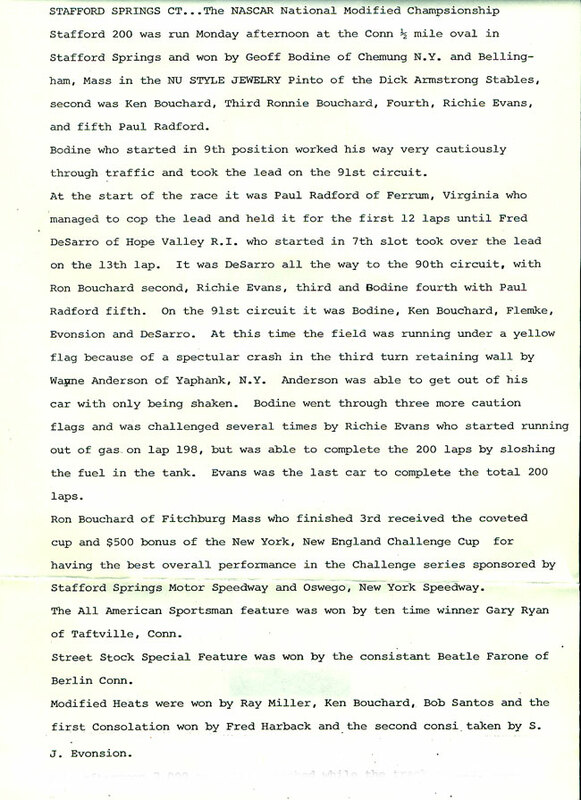 The United States had reached a milestone, the bicentennial year had arrived, but so had Geoff Bodine. 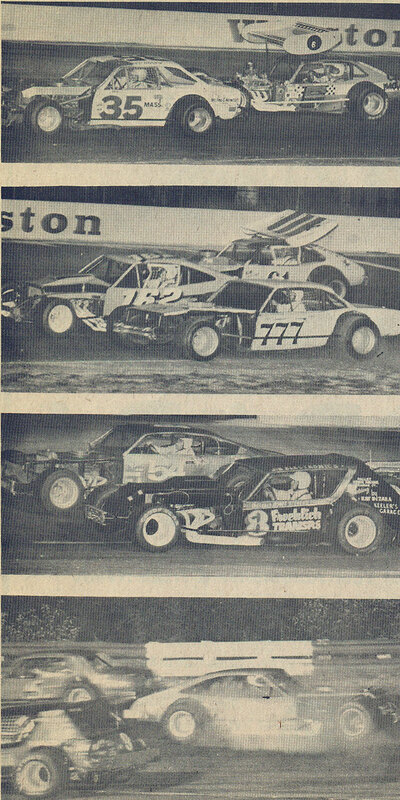 The youngster who won the 1975 track championship after a late summer winning spree burst onto the scene in 1976 winning 9 races at Stafford. 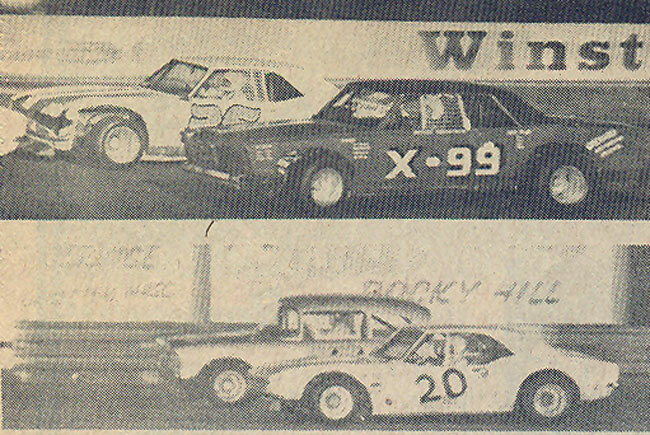 Yet Bodine was not able to match the consistency of the legendary Fred DeSarro. 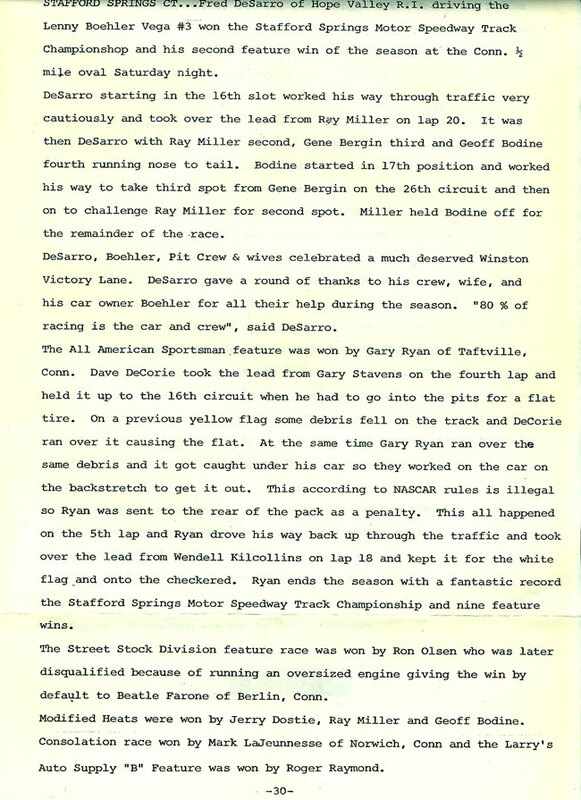 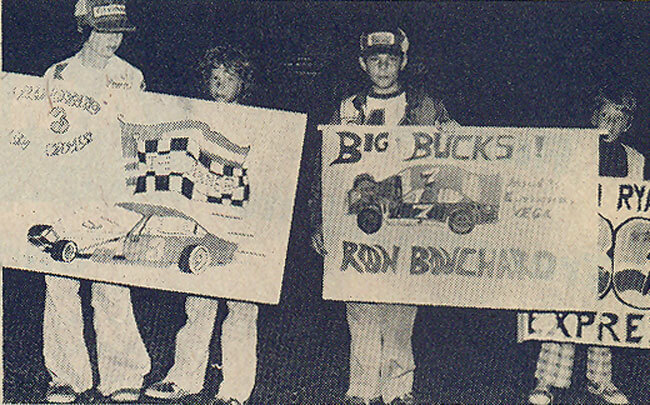 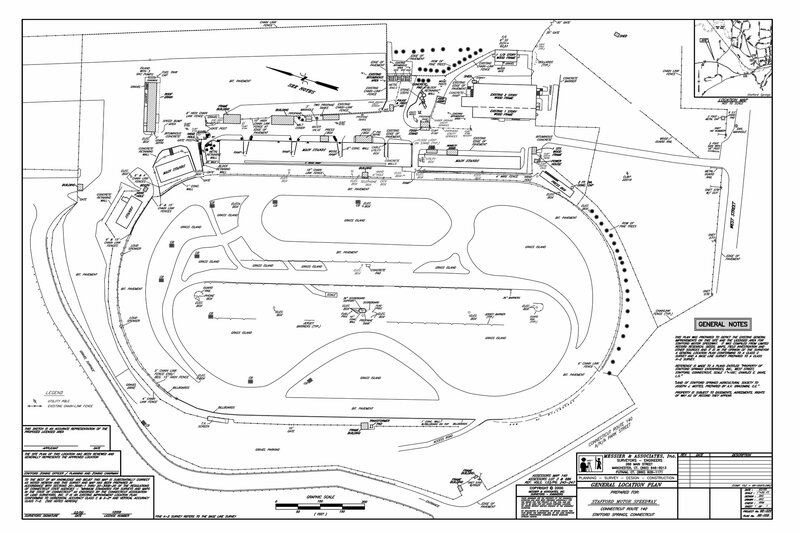 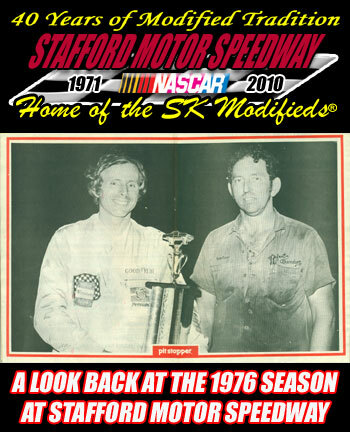 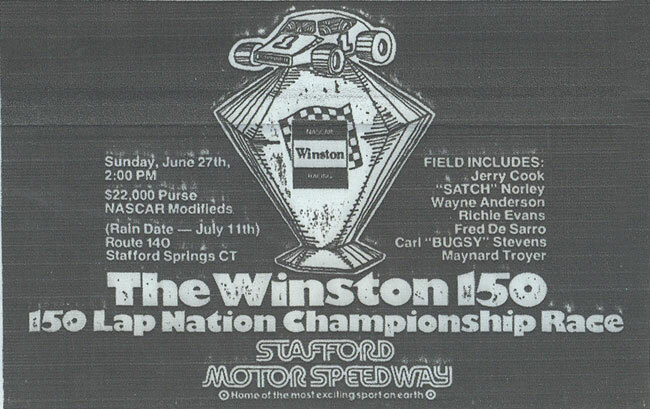 1976 also saw the debut of a new racing division at Stafford; the Street Stock division was formed. 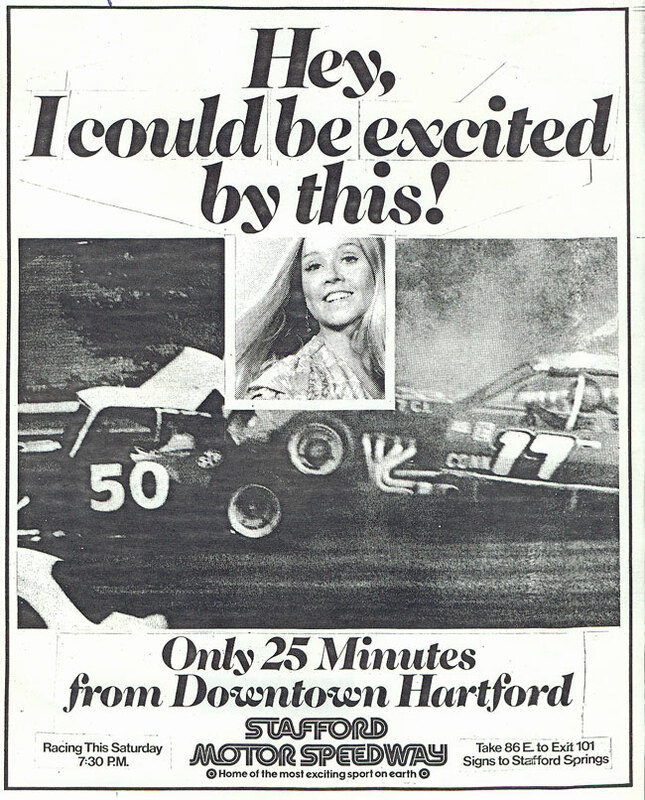 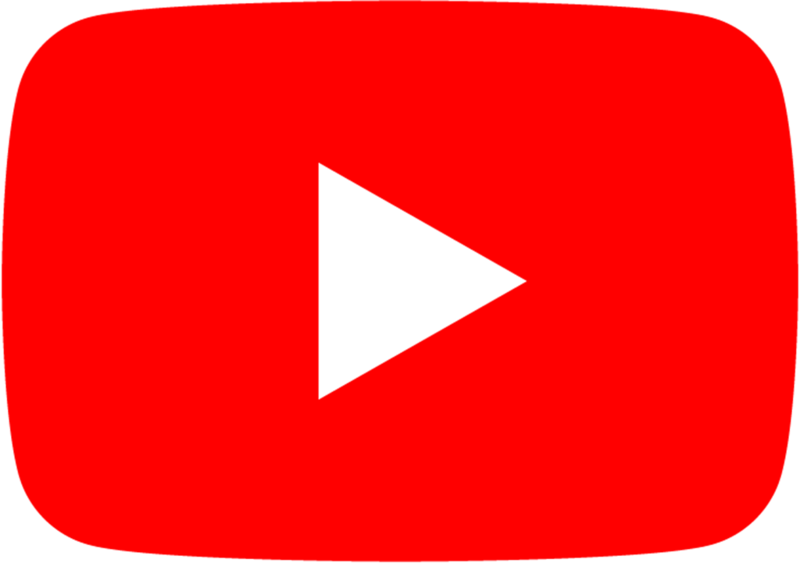 The goal of the division was to offer a less expensive alternative for people to get into racing. 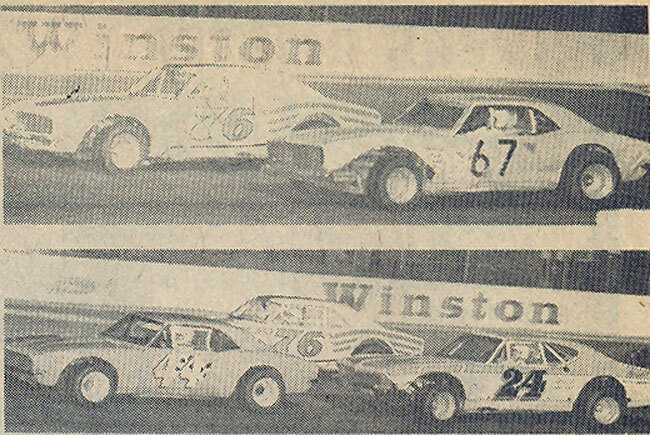 The cars were full bodied cars that resembled the Sportsman cars, but had less modifications. 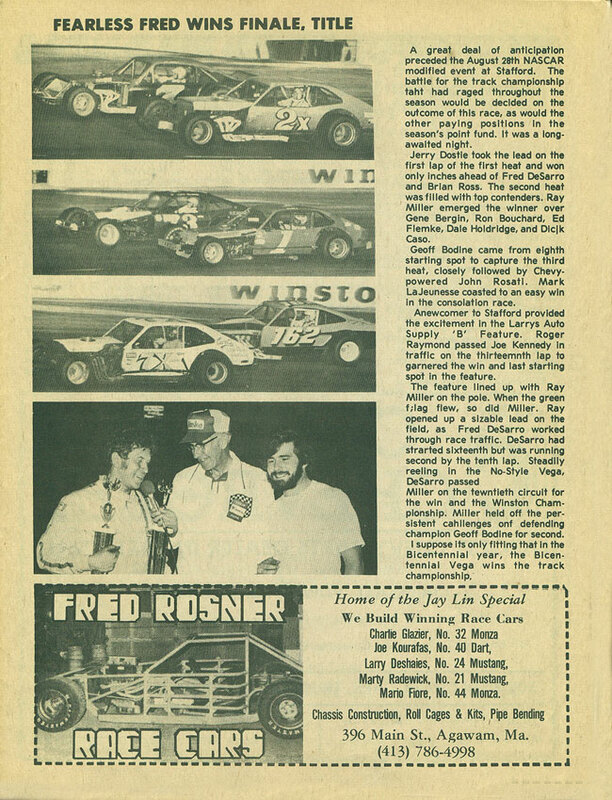 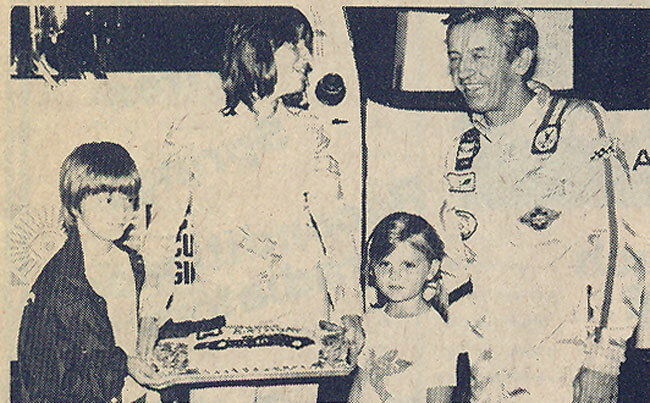 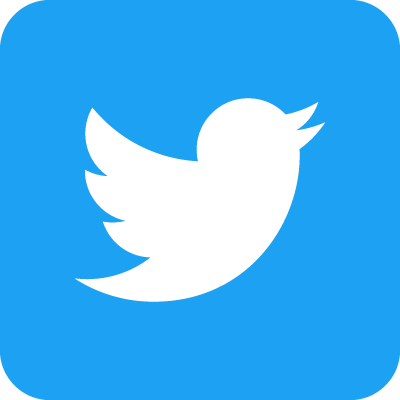 New track general manager Ed Yerington was looking for something new and exciting for fans and drivers; in 1976 he unveiled a new venture. 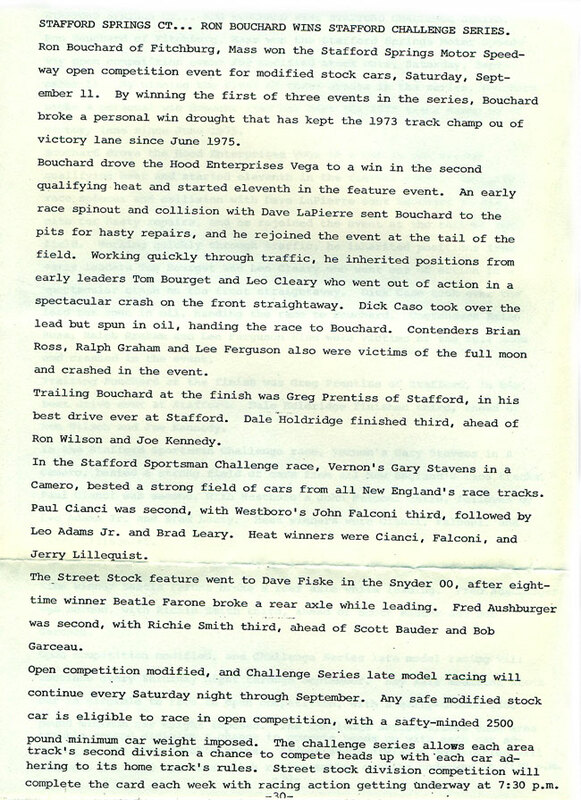 The event was to be called Modified Madness, a “run what ya brung” type of event. 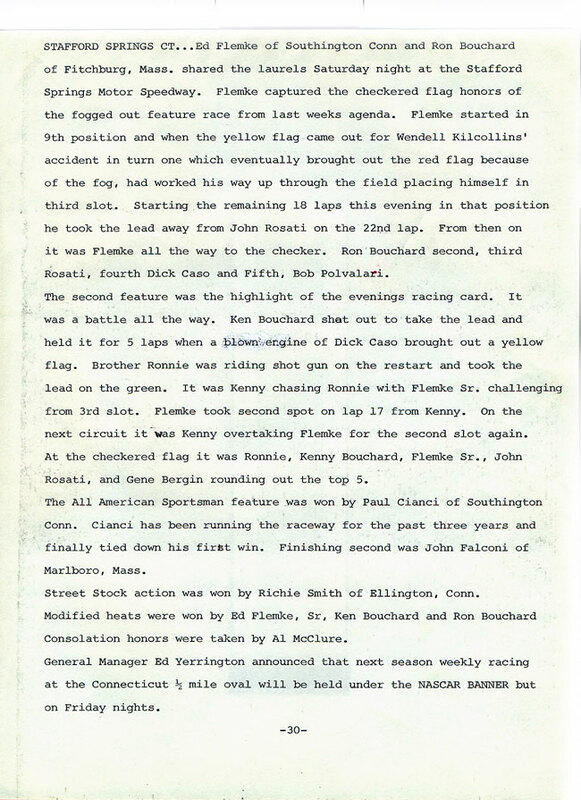 On a Tuesday night a crowd of nearly 8,000 turned out to watch the historic race. 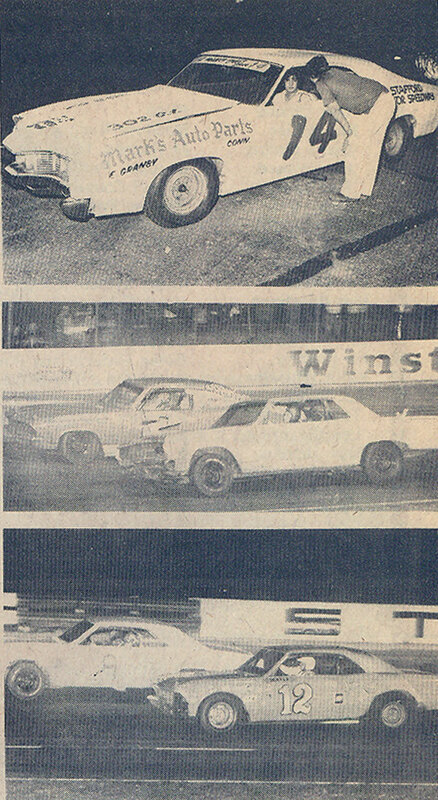 New Yorkers Maynard Troyer and Richie Evans both arrived at Stafford with wings on their Modifieds; this shocked other competitors and during the race the wings paid off. 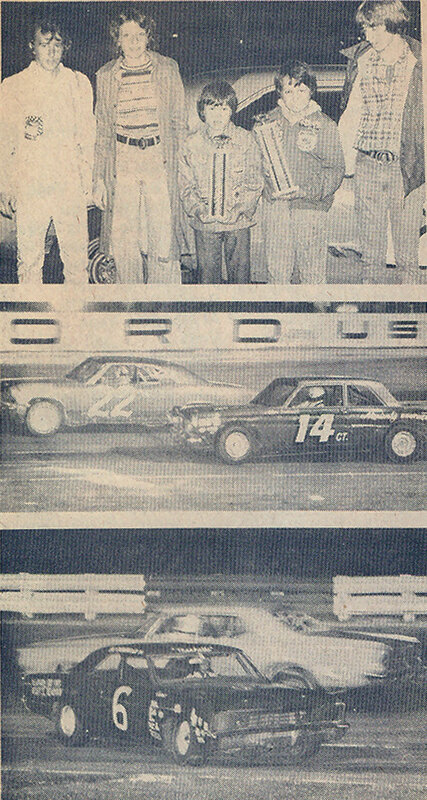 Troyer and Evans dueled for 50 laps and lapped nearly the whole field. 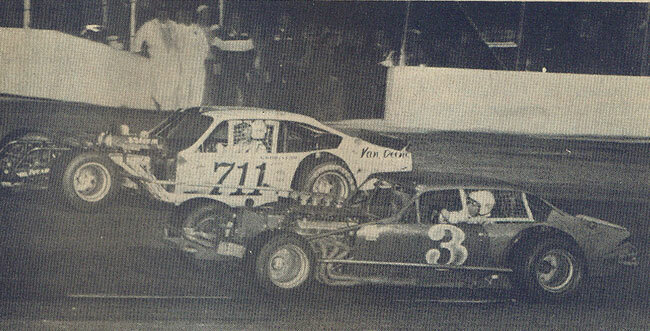 In the end, Evans edged out Troyer to take down the first ever modified madness.